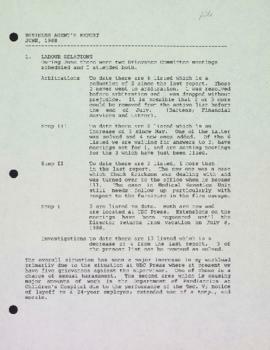 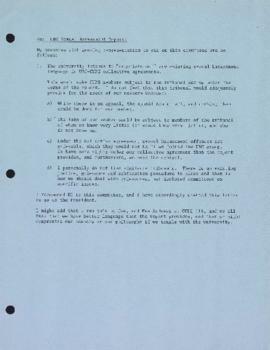 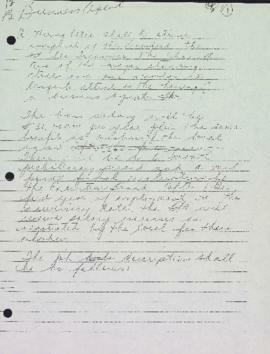 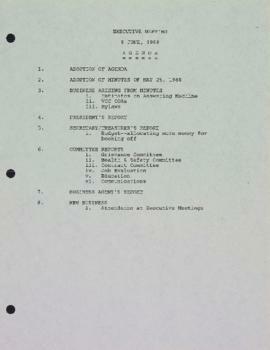 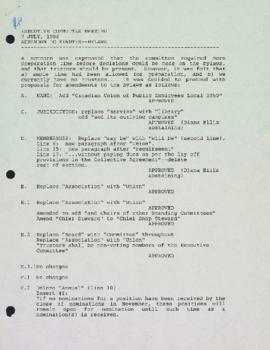 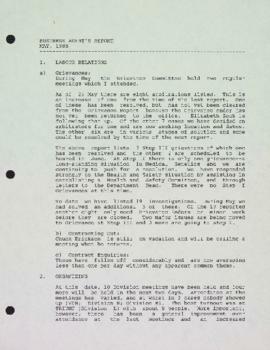 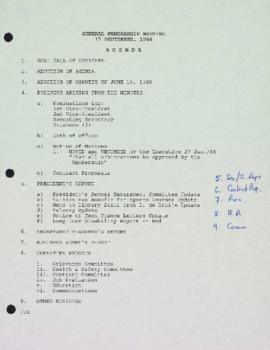 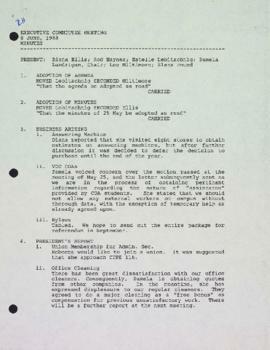 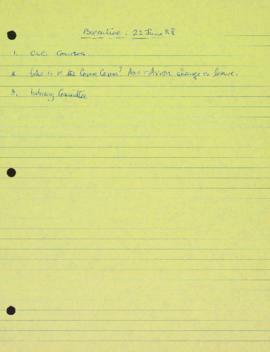 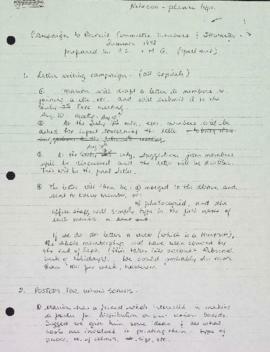 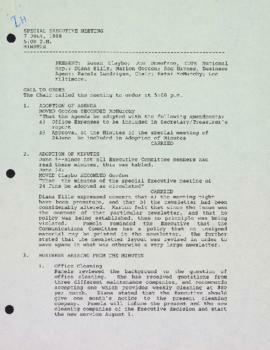 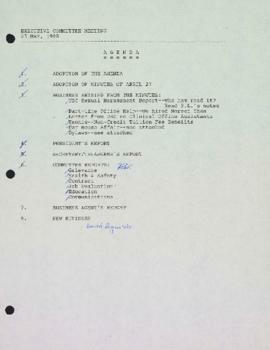 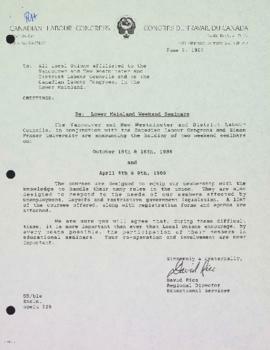 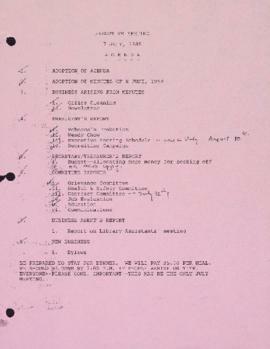 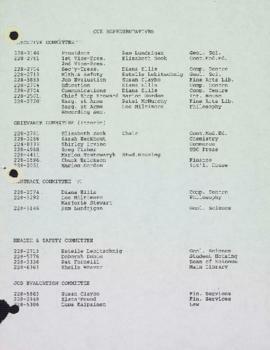 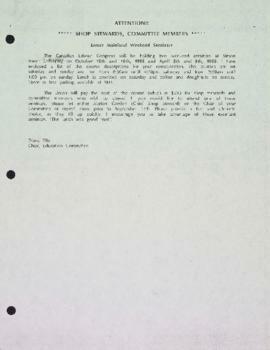 File contains meeting minutes and other records dated September 15, 1988 to February 22, 1988. 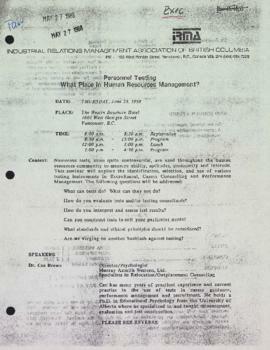 Topics discussed include executive nominations, sexual harrassment committee report, tuition waivers, financial reports, budgets, grievances, health and safety, contracts, job evaluation, education, communications, newsletter, staffing, recruiting, bylaws, labour relations and arbitration, asbestos at UBC. 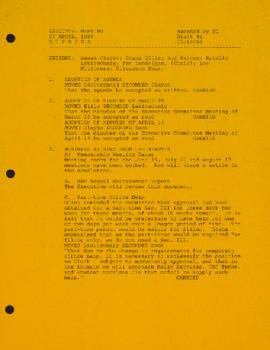 File also contains agendas, information on Canadian Labour Congress seminars and course descriptions, notes on union organizing, an Industrial Relations Management Association (IRMA) of British Columbia seminar on personnel testing, memos, and correspondence.